Home > Amazon > Downton Abbey Season 1 for $1.96! Downton Abbey Season 1 for $1.96! 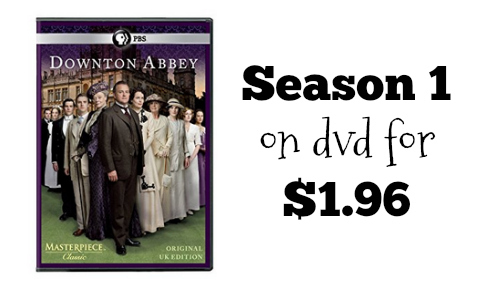 Alright Downton Abbey fans, this deal is for you! Right now on Amazon, you can score season 1 on DVD for $1.96 or season 4 on DVD for $4.96. Clip the $5 off coupon to get the deal! This will make a great gift for anyone who is a fan of the show. You can get FREE shipping on orders $49+ or get FREE 2-day shipping with Prime. Get a free 30 day Prime trial here. Note: this coupon will probably not last long and prices on Amazon may change at any time.